California personal injury lawyers practice in the field of tort law. Tort law comprises litigation involving the injury of one individual due to the harmful acts of another. There are generally three types of personal injury actions that a California personal injury lawyer will represent you in. These are intentional torts, negligent torts, and strict liability actions. For a personal injury action in California to stand the California personal injury lawyer must prove 4 elements: (1) that the defendant had a duty to the plaintiff; (2) that the defendant breached that duty; (3) the breach of duty was the proximate and actual cause of the injury; (4) the injury resulted in damages. 2. The State of California also doesn’t adopt Joint & Several liability for non-economic damages. The policy behind this is to protect defendants who are not ultimately responsible for the greater percentage of damages from excessive judgments. 5. The Statute of Limitations for personal injury actions in California is 2 years. If it is a medical malpractice claim then the action must be brought within 1 year from the discovery of the injury but no longer than 3 years from the injury. If the medical malpractice injury results in injury to a child that child has 3 years to bring an action or 3 years from the time they turn 8 years old. 6. In order to litigate a medical malpractice claim in the state of California you must put on expert testimony. 7. California allows for a party to show evidence that the other party is covered by health insurance, accident insurance, workers compensation, or social security benefits. 8. Attorneys fees are strictly regulated in the State of California. A California personal injury lawyer is permitted to receive up to 40% of the first $50,000, 33% of the next $50,000, 25% of the next $500,000 and 15% of everything over $600,000. 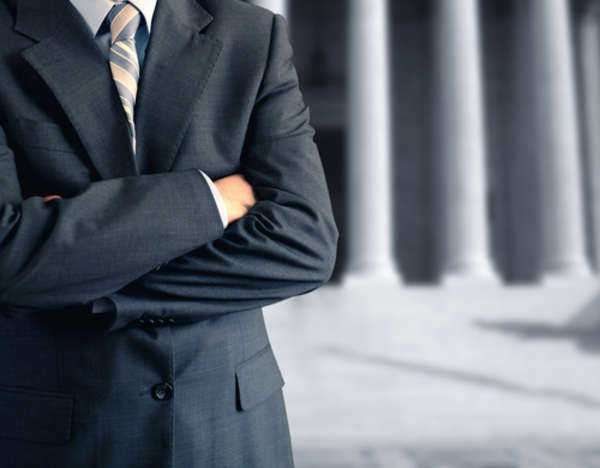 What are the qualifications to be a California personal injury lawyer? California has some of the strictest requirements to become a California personal injury lawyer. The California Bar Exam comprises 3 entire days. The first and third day is comprised of 3 essay questions and a Writing Performance Test for each day. The second day is comprised of the Multi-State Bar Exam. The MBE is a 200 multiple choice question test that is administered nationwide by the National Board of Bar Examiners. The California Bar Association counts the MBE for only 35% of the total score while the essay questions and the writing performance tests comprise the other 65% of the exam. The passage rate of the California Bar Exam is the lowest in the country with only an average of 45%. The California Bar Association also requires a passing score of 86 on the Mult-State Professional Responsibility Exam. No other state has a higher requirement. Due to the difficulty of the California Bar Exam and the high moral and ethical requirements associated with admittance to practice law in the state you will not have a difficult time finding a California personal injury lawyer who has the ability to handle your case. The California Bar Association also operates a legal referral service from their website at www.calbar.ca.gov. By going to the California bar associations website you can input the county in the State of California where you will be needing a California personal injury lawyer and the referral service will give you a list of resources in your county to contact. You may also call the referral service at 415-538-2250. You can also take advantage of a legal aid service provided by lawyers in California. California requires that its lawyers provide a certain amount of pro bono services per year. A California personal injury lawyer can be retained for free through a legal aid service if your income is less than 125% of the national poverty level. You can also find California personal injury lawyers by taking advantage of the laws.com website. By going to the top of this page and clicking on the “find a lawyer” link you will be brought to the laws.com referral service. By plugging in your name, location, contact information, and description of your legal problem. Laws.com will then contact you about possible California personal injury lawyers who may be able to help you with your problem. If you believe that a violation of the rules of professional conduct has been committed by your personal injury lawyers, California imposes obligations on their attorneys to maintain strict compliance. For that reason, if you are a client, or just a citizen, and you know of unethical activities being performed by a personal injury lawyer, California State Bar Association should be notified. You may file a complaint with the California Bar Association by calling the Attorney Complaint Hotline at 1-800-843-9053. If your complaint is just a matter of a disagreement over the strategy of your case or about attorney fees you should attempt to purse alternative settlement negotiations with your personal injury lawyer. California is only interested in violations of the rules of professional conduct and the State Bar Act. To file a complaint you do not need to pay a fee and you do not need to be a citizen of California. The complaint will be read by an appointed representative of the California Bar Association who will review the matter to see if there is merit to your claim and whether the allegations warrant an investigation into the violation by the personal injury lawyer. California will then decide upon a disciplinary measure that may be as little as a private admonishment or it could lead to disbarment of the personal injury lawyers. California maintains confidentiality during the proceedings and only upon the finding of ethical violations that warrant sanctions, will the matter become public record.